Tate, Caleb’s son, becomes a child while hiding in the bushes. While Juliana is off making new friends, Jackson decides to teach Madelyn to walk. Seriously, he decided to do this on his own, not as direction from me. I was so impressed and shocked. Juliana meets Benjamin Schmidt and decides he will make a good husband. Since Jackson taught Madelyn how to walk, Isabella decides to teach her to talk. Lily gets Jackson to read her to sleep since Juliana is still out of the house. Keith meanwhile plays with the dollhouse. Juliana makes her proposal to Benjamin, and thankfully he accepts. She throws herself a bachelorette party the next day only inviting Gavin Pinkerton, Emma’s boyfriend. oops. Madelyn is distressed by witnessing their friendliness. She looks happy there but boy did she have two huge moodlets about witnessing betrayal and losing her mom as a friend. While Juliana and Gavin are making nice, the party dancer shows up. Timing is everything. After Gavin leaves, Juliana enjoys watching Brad dance. she didn’t get to ask to be just friends before Gavin left, something having to get to work … right … this … minute. She then spends time with Madelyn repairing their relationship. Juliana throws a wedding party but I apparently can’t count because she is pregnant again so there is no space for Benjamin to join the family yet. 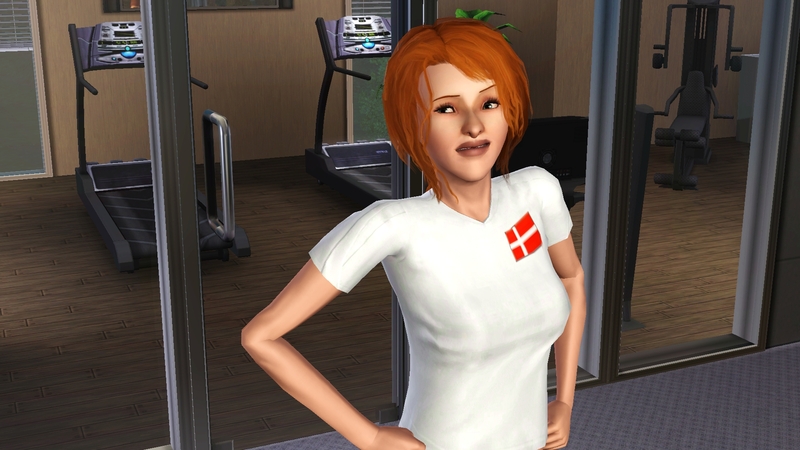 I finally found August (Tate’s mom with Caleb) and gave her a makeover. I make a quick check and confirm that Isabella made the honor roll so she gets a birthday cake, hopefully in time to move out before Benjamin goes home for the night. At the same time Keith has his birthday in the upstairs bathroom. Isabella gets her makeover before moving out. Isabella moves out. After she moved out there was a notice that she moved in with Bernard, who is Felicia’s husband. Hopefully Felicia is still there also. Juliana and Benjamin get married. Jackson cried while Lily just looked bored, or maybe she was tired. It is about midnight now. Benjamin comes with a dog named Ralston. At 2am Madelyn finally gets her birthday cake. Everyone finally gets to bed around 5am. It was a long and eventful day. Ralston settles in nicely and she has no trouble sleeping. No one gets to sleep late, even on a Saturday. Benjamin heads down to the school to change jobs to Education while Keith and Madelyn sign up for after school activities. Juliana works on cleaning up her old romantic relationships but asking to just be friends. My very first baby gnome. Juliana gets confirmation baby O is in the belly. Woo Hoo I am actually going to stick with this long enough to finish I think. She tracks down another potential daddy but isn’t too careful about her wooing. Benjamin is a good step-daddy. …because it is now Benjamin’s birthday. Noah becomes a toddler and gets a makeover. I love his hat. Charred Juliana makes sure her baby isn’t singed. Juliana is in labor and doesn’t have time to read it.